Sleep deprivation has become a serious health issue around the world. A survey of South Koreans found that 17 percent had at least three nights of insomnia each week. 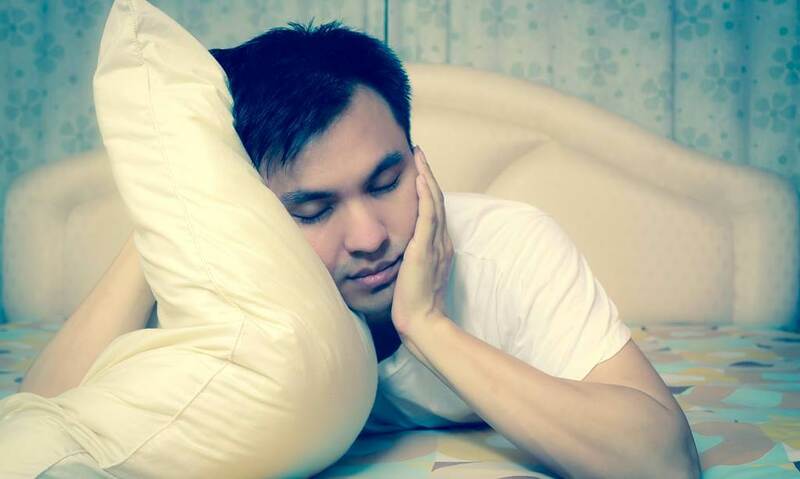 Another study in Hong Kong revealed nearly 12 percent have insomnia. In the UK, 50 percent of Britons fail to get enough sleep; and 30 percent of American adults have symptoms of insomnia, including 10 percent who experience challenges in their daily activities due to a lack of real rest. Peter, however, slept well even during a particularly trying time in his life. Having been unjustly imprisoned for eight days by King Herod, he was to be put on trial the following day. And it was nearly certain he would be put to death (Acts 12:2-6). But the apostle didn’t lose any sleep over his trial or his impending demise, for “the night before Peter was to be placed on trial, he was asleep” (v.6). How could he rest at a time like this? Part of Peter’s peace may have come from being upheld in prayer, for the church had “prayed very earnestly for him”, and was still praying this very night (vv.5,12). But Peter also experienced the peace that can come only through trusting God, the distinct tranquility Paul wrote about: “Don’t worry about anything; instead, pray about everything. Tell God what you need, and thank him for all he has done. Then you will experience God’s peace, which exceeds anything we can understand. His peace will guard your hearts and minds as you live in Christ Jesus” (Philippians 4:6-7). When we can’t sleep because we’re troubled by the trials of life, instead of counting sheep, we can talk to our Good Shepherd. Let’s choose to “give all [our] worries and cares to God, for he cares about [us]” (1 Peter 5:7). Sweet dreams! Read Acts 16:16-34 to see how Paul and Silas dealt with their adverse circumstances late at night. What’s one worry that’s keeping you awake at night? How can Philippians 4:6-7 help you find the peace you need?